Q: Hello, I’ve set my menus up so that they are positioned on my page within a container div (not using the positioning built into the menu script). I am also trying to use the autoscroll feature as some of the submenus are quite long. The autoscroll doesn’t seem to work with the css positioning though. I also tried to size the submenus to force them small and thus to scroll with no luck. The scrolling works fine when I pull the menus out of the container div and just place them in the flow of the page. Am I doing something wrong or are these two features incompatible with each other. A: Unfortunately, it is really so. Submenu scrolling doesn't work with css. We'll try to fix it in the future versions. You can try to use multicolomn submenus. Q: We need to place a vertical menu on the right of our page, and have the subnav options popout on the LEFT of the vertical navbar. Can you script handle this? You should set this parameter. Q: Please let us know how to select the font and background colors using the hexidecimal number? We have another website and want to use the exact same color scheme. We want to enter the number such as FF8080. Hopefully, we can enter the hex numbers into this program. Q: I really want the actual dhtml menu bars to be SE Friendly. Is this possible? A: You should generate search engine friendly code and install it on yourpage. To generate such a code use Deluxe Tuner application. Run Tuner, load your menu and click Tools/Generate SE-friendly Code (F3). Menus: The Official Microsoft ASP.NET Site � Professional Style - Render sitemap in table or treeview format. 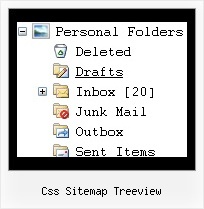 � XML & CSS - Sitemap structure and style based on XML and CSS industry standards. TreeView Class (System.Web.UI.WebControls) Displays hierarchical data, such as a table of contents, in a tree structure. site map data, provided after this code example, to a file named Web.sitemap.